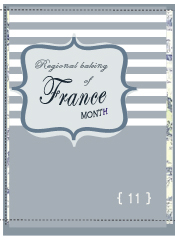 In honour of French patisserie treats, I have short-listed a few items to bake this month. First up were madeleines. Next challenge, profiteroles. I am fascinated by choux pastry (pâte à choux). This multipurpose pastry can be used to create cream puffs, profiteroles, and éclairs. I recently attended a class at Black Pearl Epicure and the lovely Kristie Rickman, head pastry chef at E’cco, demonstrated a few pastry essentials. Choux pastry was on her list and she created a number of mouth-watering cream puffs. Inspired by Kristie, I decided to recreate the golden puffy delights at home. As my deliciously light madeleines turned out perfectly, I thought I would continue with Sherry Yard as recipe guide for the choux pastry. Kristie shared a sensational chocolate custard recipe, so there was no question what to use for filling. There are a few steps to this recipe, but all are very simple. The end result is worth the effort! In fact, I was given some feedback on these little chocolately puffs of goodness. They were apparently absolutely delicious … but just way too small! So next time I make pâte à choux, I need to upgrade to éclairs! Place water, milk and butter in a saucepan over medium heat. Cook, stirring, for 3-4 minutes or until butter melts and mixture just comes to the boil. Add all the flour to the butter mixture at once and use a wooden spoon to beat until well combined. Place over low heat and cook, stirring, for at least 4 minutes or until the mixture forms a mashed potato like appearance. Remove from the heat. Preheat oven to 220 C or 425 F. Line a baking sheet with Silpat. Pipe the profiteroles onto the baking tray. For medium sized puffs, pipe about 3-4 cm in size (1 ½ inches). Brush the tops with a little egg mixture. Bake for 10 minutes, or until puffs begin to rise. Turn the temperature down to 180 C or 350 F. Carefully prop the oven door open with a wooden spoon and bake for another 15 minutes. When the puffs cool, cut the top half off each one with a serrated knife. Set the tops over a cooling rack. Drizzle ganache over each puff top (you can use any recipe you like for the ganache). Place the puff tops in the ridge to set, about 15-20 minutes. Fill the puffs with a filling of your choice. Use the Chocolate Custard recipe below or choose plain whipped cream or vanilla custard. Then replace the tops to finish off your lovely puff! If you are greedy like me, try to eat these cream filled sensations in one single bite. All the flavours complement well. If you can somehow resist not popping the whole thing in your mouth in one go, they still taste pretty good, too! Lightly whisk together the egg yolks and sugar. Add the flour and whisk to combine. In a saucepan, slowly boil the milk. Once the milk has reached a boil ladle about ¼ cup into the egg mixture and whisk well. Then transfer the egg mixture into the rest of the milk and cook slowly over medium heat until the mixture thickens and comes to the boil. Add the chocolate, stirring until to melt through. Transfer to a bowl and cover with plastic wrap directly on the top to prevent a skin forming. Cool to room temperature. Once ready to use, stir in the cream. Transfer to a piping bag to pipe mixture into the prepared puffs. 1. You can freeze the pastry before you pipe into puffs. Transfer the mixture once cooled to a piping bag, seal and then freeze for up to 2 weeks. I made my pastry a week ago, popped it in the freezer, then let it defrost for about an hour before piping. 2. The work of adding the eggs is made much easier using a stand mixer. But you can complete this step by hand if necessary. 3. The number of eggs given is a bit of a guide. When you have added the second last egg, check the consistency. The pastry should be more firm than runny. If it is a little runny, add the last egg. Sherry’s tip is to pinch off about 1 teaspoon of the dough with your thumb and index finger, then pull your fingers apart. The dough should stretch rather than break. If it breaks, add the last egg. 4. Steam helps these little puffballs rise. Sherry recommends putting a cup of hot water into a baking dish at the bottom of the oven when you put your puffs in to bake. 5. When I cut the tops off my puffs, I set out the bottom half in the same order as the tops on a separate baking tray. That way I could match the correct top and bottom together easily when it came to assembly time! 6. Filled puffs only last a couple of hours in the fridge – but probably not a problem if your household has a sweet tooth like mine! So for my short-list of French-style patisserie treats this month, I have one challenge to go. Next week I will be tackling croissants. Souhaitez-moi bonne chance! I have been reminiscing about my recent trip to a handful of Paris’ best patisseries. To pay sort of tribute (and to sadly attempt to re-create the experience), I have short-listed a few decidedly French treats to bake. First up, madeleines. The recipe selected is courtesy of the magnificent Sherry Yard. Magnificent as her ability to translate volumes of detail about the fundamentals of baking, in way an amateur can understand, speaks to her enormous skill. I also could not resist baking a delicious buttery treat that was adorably shaped as a shell. Sherry’s basic recipe is for a Orange Blossom Honey Madeleine. Sherry provides a few variations for lemon, pistachio and chocolate to cater for a variety of palates and tastes. I opted for chocolate, as I truly cannot resist this flavour in its many forms! The recipe is quite simple. You just need to factor in a little time for the batter to chill. Sherry includes the addition of almond meal to add flavour and lightness to the batter. Makes about 8 dozen mini or 4 dozen standard cakes. 2. Beat butter on high until soft. Slowly add sugar, 1 tablespoon at a time. Mixture should be light and fully. Beat in honey, vanilla, orange flower water and kumquats or orange zest. 3. Add the eggs, one at a time. Add the flour mixture to the batter in thirds until just incorporated. Cover the batter and chill for at least 2 hours and up to 4 hours. 4. Preheat oven to 375 F (190 C). Brush moulds with butter and dust with flour. 5. Spoon batter into the pan, filling each about three-quarters full. Bake for 10 minutes for mini or 15 minutes for standard size, or until golden brown and firm to the touch. 6. Best served warm from the oven but can be stored airtight for 3 days and in the freezer for up to 3 weeks. Replace ¼ cup of cake flour with ¼ cup of unsweetened cocoa powder. My visits to Pierre Hermé and Ladurée were rather extraordinary to say the least. The sights, the smells, the tastes were truly amazing. But that could not compare to my behind-the-scenes experience at Gérard Mulot. After spending a little time taking in the delights on offer at the 13th arrondissement store (including the collection of macarons, les petits gateaux, and les chocolates!) we were ushered to the kitchen to share in some macaron and chocolate secrets. I was captivated by the chance of witnessing macarons made by one of the masters in France first hand, Chef Patrick Leclercq. A chance like that certainly does not come along every day! Combined with my introduction to chocolate making by Chef Antoine Hesloin, and I was feeling very centred and complete indeed! Chef Antoine explained the basics of chocolate making including tempering, flavouring and presentation. The seemingly never-ending array of mouth watering samples confirmed sheer excellence in his profession; the flavours effortlessly outshone what my taste buds had sampled in the past. The memory of Gérard Mulot that stays with me is not only of the faultless chocolate and patisserie, but of an eagerness to share in the passion and knowledge of the craft. Gérard Mulot is an institution in Paris and I am privileged to have such a rewarding experience there. This boutique is firmly a “must-see” in Paris. The instant I clapped eyes on the celadon green coloured store in Saint Germain, there was no question I was in Paris. It was undeniably stylish, tasteful and very French. I am talking, of course, about Ladurée. Inside I was subjected to a feast for all my senses. Visually the store was beautifully presented with a range of elegant treats ranging from macarons to cakes and pastries. Handsome presentation boxes adorned the counter space and shelves on the walls. There was a buzz of activity not only from my fellow customers but the staff as well. I greedily ordered half a dozen macarons (chocolat, vanilla, framboise). Each flavour was a delight to savour – albeit the savouring did not last for long! During my time in Paris, I visited Ladurée multiple times. It was quite a challenge for my waistline, but well worth the experience. If you are obsessed with the macaron (like myself), you cannot go past a visit to Ladurée. It truly is a special piece of France. Trés Belle. Walking into a Pierre Hermé boutique is an experience. In a recent visit to Paris, I took a trip to 72 rue Bonaparte in Saint-Germain. The store was a delight for all the senses. Patisserie in France is something to be savoured. Whether an afternoon pleasure, a post dinner sweet, or a celebratory memento. Patisserie is paid rightful tribute in France. It is not cream donut slapped into bag then gobbled while driving (oh, and having some of the contents fall into your lap while you do!). At Pierre Hermé, each patisserie is a piece of art – and it is treated as such. When you make a selection, the item is carefully lifted from the display case onto a single board. It is then taken away from the main counter to be individually packaged. Your patisserie is placed in a beautiful cornflour blue box and gently sealed. The sequence is finished with the item presented to you like a gift. It is like you are walking into a high-end jewellery store about to purchase a special piece of jewellery. You are overwhelmed by the beauty of all the pieces. When you choose, your item is treated with the up-most care. And when you leave, you leave knowing you have something very special lovingly tucked away within the box you hold in your hands. After the visual experience comes the tasting… Pierre Hermé is undeniably one of the pastry masters in Paris. I do not think I need to explain. 72 rue Bonaparte 75006 Paris. Also at 185 rue de Vaugirard 75015 Paris. Plus a new boutique at 4 rue Cambon 75001 Paris (dedicated to macarons and chocolate). I am lucky to have two nieces who are willing to participate in my baking ventures. Recently I made high-hat cupcakes with my niece B. Last weekend it was mini butter cookies with my 5-year-old niece L.
L. just started 1st Grade. She was not very pleased with the idea (unlike her prep year) as she knew school time now involved homework. But in anticipation of a year of learning – and under the guise of baking – L. and I combined a little spelling activity with our baking over the weekend. This did not require pen or paper but basic cookie dough and 26 letter cut-outs. L. then decorated each name with individually selected colours and sprinkles. She presented her work proudly to her family when she went home. Another successful baking day with my beautiful nieces. Now for the recipe. There are no special techniques required. It is a simple butter cookie dough ideal for cut outs. The only requirement is you need to chill the dough for about 1 hour before rolling out. Also, if you are working in hot weather (as I often am in Queensland), you may need to re-chill your dough as you re-roll. Apart from that, it is a snap – and perfect for letting little ones tap into their creativity (or testing their spelling!). For the cookies, beat the butter and sugar in a large bowl. Then beat in the egg. Add the vanilla and mix well. Combine the flour, baking powder and salt in another bowl. Add to the creamed mixture and stir until smooth. Chill the dough for at least 1 hour. Divide the dough into 2 or 3 portions. On a generously floured board, roll out each ½ cm (1/4 inch) thick. Cut out shapes using flour-dipped cookie cutters and place cookies on ungreased baking sheets. Bake for 5 to 7 minutes, or until edges are lightly browned. Let cool on rack. For the icing, blend the sugar, lemon juice, and water in a bowl. Add more water if needed to thin icing. Divide the icing in half. Add the colouring (if using) to one half and mix until the colour is even. Spread the icing evenly over the cooled cookies. Add sprinkles if desired.